Yep, it's still full steam ahead and all that. By the time I'm finished, all that will be left in our storeroom will be items of sentimental importance and the things we don't have space for in the kitchen. My drawers and closets are done. I no longer have any clothes I don't wear. I'm not saving anything I have any hope of getting into ever again. That stuff has been gone a long time now. I've surrendered on that battlefront. Not gonna happen. I had shoes I'd never even worn. But then, I really don't like wearing shoes at all. In a perfect world, I'd be living in a climate where only sandals and flip-flops would be needed. And no heels! I dumped a lot of makeup last year. I seldom wear it anymore--one of the advantages of getting older. Too much is, well, too much. Collin's been busy, too. He's digitized our entire DVD collection. Now, everything is on external hard drives. With them, our Kindles and our smartphones, we can now store all of our books, magazines, photos, music and movies in one small drawer. Digitizing is a great space-saver. Decluttering can also be profitable. Collin took several of our DVDs to V-Stock--and got just over $84 for them. They sure sell better than used books these days! 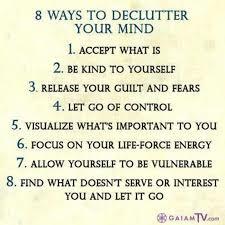 The most important decluttering task, however, is decluttering the mind. That's next. It really should have been first--but I tend to do things backward, like reading the end of a book first. I am sorta' trying to declutter my studio. I wish I just did one thing like painting but on no I have to do it all and have the paper, inks, paints, brushes, pens, and it goes on and on forever. Paper Paper Paper I love it but it builds up. But I have been very ill lately so everything is a mess as I dump draws and pull out boxes. Some of this stuff has been there since I unpacked and moved into the studio. ARGH ! Decluttering my mind is something I'm working on. 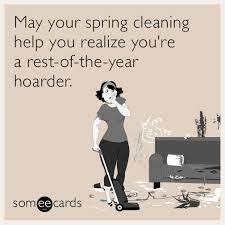 This time of year is when I do the decluttering. But it will have to wait. Gayle: My issue is junk mail. It arrives, I leave it on the dining room table until I have time to look through it. It always ends up getting tossed out, unsorted. We also have a box of stuff to be shredded. Lynn: I kept stuff for year, until I finally decided I didn't really care if I ever got to wear it again. William: That's the most important decluttering--getting rid of the toxic memories and emotions. We can't go back, only forward. Shelly: I can see where it would be impossible, with your arm in a cast! Congrats on de-cluttering, Norma! I hate to do it, but I know I need to. I have shoes I've never worn, but I keep thinking that someday I will. When I find pretty shoes on sale at Marshall's for ten bucks, I just can't leave them behind! It's easy to buy a lot of things because they look so good and they're such a good deal! I'm not so big on shoes, but I've bought my fair share and ended up giving them away, unworn. One time, I bought a pair of boots just because I liked the way they looked--definitely NOT on sale. When I showed them to my dad, he asked what I paid for them. I told him, and he said, "Better walk on your hands when you wear them!" What a chore. 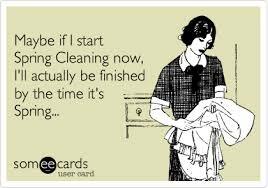 The mind thing is another chore. Some are easy. Others, not so much. That it is! But once finished, life is so much simpler. Oh, I needed this! I cleaned out when we moved down here but that was ten years ago and guess what? I've managed to collect a lot of junk again! You are inspiring me to get in there and start decluttering! And I was inspired by Ivy at The Happy Whisk. Bloggers Unite! Oh well done Norma, I've been meaning to attack my wardrobe for ages and you've just inspired me to get to it 😊 When we went out on Wednesday evening, by the time I'd sorted something to wear, there was a mountain of clothes on the bed.. it was a nightmare! This weekend for sure! Be forewarned--it can consume you, Grace! Really well done, my friend. This is not easy work and it can take a long time to get done. But, you've got a great outlook and I'm enjoying reading about your journey. Thank you for sharing it with us. I'm finding out just how long it does take, Ivy! I went into it expecting to be able to do it in one day. That was at least two weeks ago. One day? Ack. 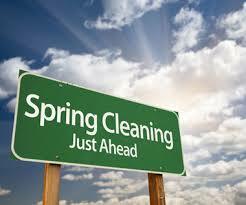 Took me four weeks just to remove 80 percent of my clutter. But that was in my head, my job for the four week period. I still have that last little pile to find home for or remove. Is Mercury in Retrograde Or Something?